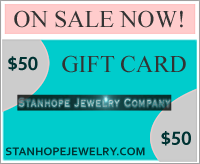 Stunning one-of-a-kind stanhope bracelet made from vintage silverware. 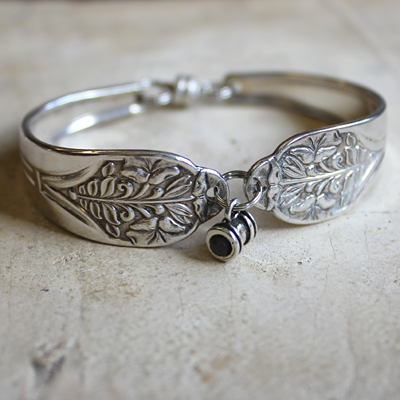 The bracelet has beautiful flower and leaf detail work that is accented with a stanhope barrel dangle charm. A peep inside the lens reveals a crystal clear and legible image. There are many images to choose from including Jesus, The Holy Family, Ten Commandments, Psalm 23, L'Ascension, The Lord's Prayer in English, Spanish, Hebrew and quite a few others. Create your own keepsake with your favorite photo.